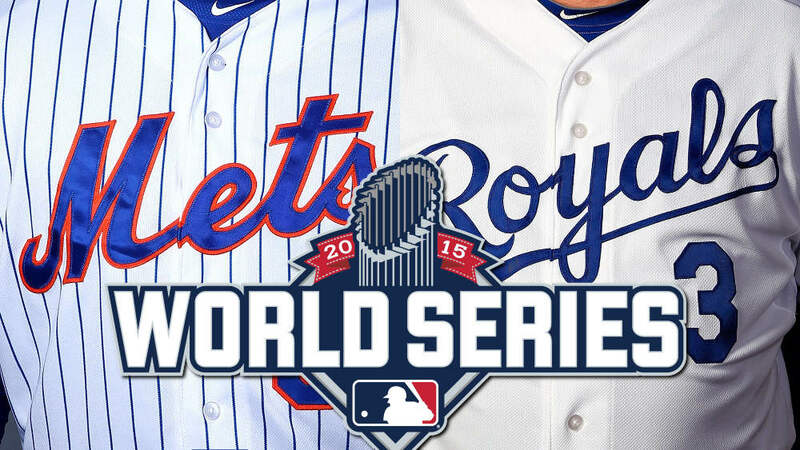 The 2015 World Series is finally here! The New York Mets are in the fall classic for the first time in 15 years. Their counterpart The Kansas City Royals were just here last year, becoming the first team since the 2010-2011 Texas Rangers to win back to back pennants. The Royals are experienced, most of the players on this squad were on the team last year. They know what the World Series has in store, they’ve felt the pressure, they’ve felt the stadium rock with excitement, but I don’t think that experience is going to be enough to overcome the young, raw talent of the New York Mets. The Mets offense has been carried by Daniel Murphy. He’s batting .421 with 7 HRs, and 11 RBI. A ridiculous stat line. No one has seen a postseason performance like this since Carlos Beltran did something similar in 2004. Curtis Granderson is also helping out the Mets cause by hitting .303, stealing 5 bases, and driving in 7 runs. The Mets team has stole 9 bases in 9 games so far this postseason. That’s normally the Royals’ shtick. The Royals play small ball, they work the count, advance runners, and steal bases. Their offense has been more of a team effort with eight batters driving in 5 RBI or more so far this postseason. Their big hitter Kendrys Morales has 4 HRs, and 10 RBI but he’s their DH and in the National League ballpark there is no DH. Morales, if used at first base in the NL ballpark is a big defensive liability. Royals manager Ned Yost would have to be desperate for offense if he decides to use Morales at first. You know what they say: defense wins championships, and it will be interesting to see if Ned Yost believes in that theory. The offense is pretty even here, I would say a slight, tiny edge might go to the Royals, but if Daniel Murphy stays hot, it will be hard to outscore the Mets. Now pitching is a whole different story……. The New York Mets have one of the best young pitching staffs baseball has seen since the Atlanta Braves in the 90’s. Matt Harvey, Jacob deGrom, Noah Syndergaard, and Steven Matz have carried the Mets to the World Series, with a little help from Daniel Murphy. They throw hard, they throw strikes and they are not intimidated by the big lights. hese guys throw gas, no team in baseball threw as many pitches at 95 mph or above as the New York Mets. Now I know the Royals have a .281 batting average against pitchers throwing 95 mph or above but it’s not the Royals offense I’m worried about, it’s their starting pitching. The Royals starting pitchers have a combined 5.46 ERA. Compare that to the Mets 2.65 ERA, and that’s almost a three run difference the Royals have to overcome. Plus, the Mets aces, their workhorses, have showed up this postseason. Harvey, deGrom and Syndergaard have a combined 2.43 ERA and Steven Matz, who hasn’t even started 10 games yet in his young career has a 3.72 ERA in the two games he DID start. The Royals ace, Johnny Cueto hasn’t been that good. He has a 7.88 ERA in three starts, and their second best pitcher Edinson Volquez has a 4.32 ERA in three starts. Their other starter Yordano Ventura has great talent and nasty stuff, he should be able to duel with one of the Mets studs but for some reason he can not get out of the fifth inning. Obviously the starting pitching edge goes to the Mets, and like I said earlier defense wins championships, so I think the Mets will win the series in 7. It’s not going to be easy: the Royals can work the count, get runners on, wreak havoc on the base paths, but I think the pure depth and talent of the Mets starting pitching will carry this team to a championship. I think it will take all seven games, but I believe the Mets will be planning a parade down the Canyon of Heroes next Thursday.